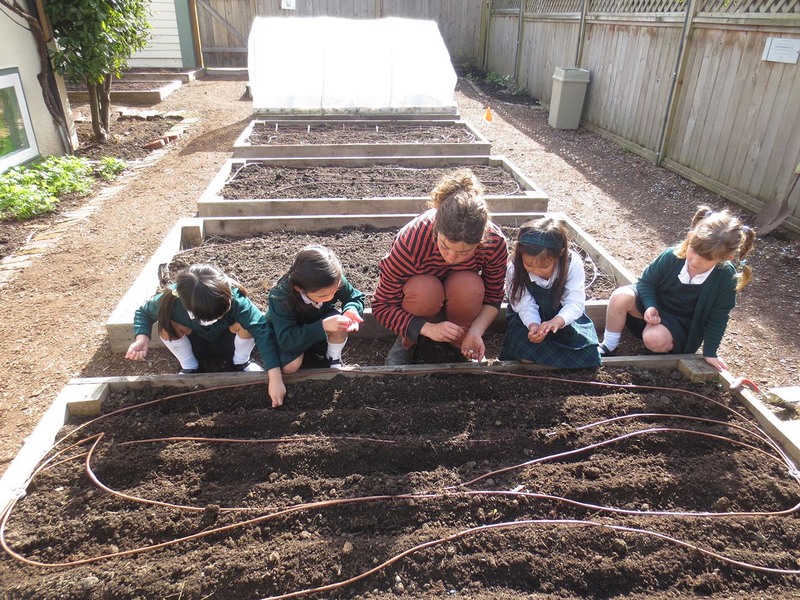 The Little School Garden Coordinator, Tessa, has been working with Junior Kindergarten and Senior Kindergarten students in our garden. 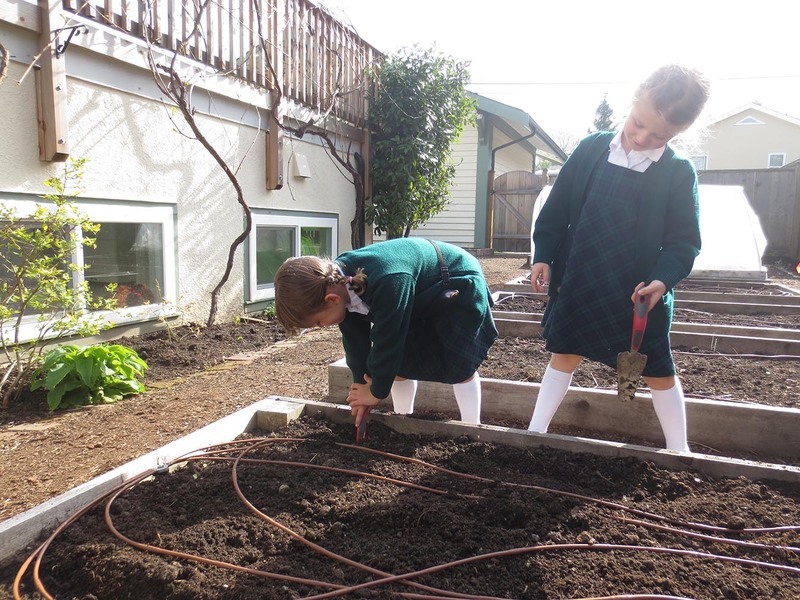 We have planted a variety of flowers and vegetables that we are looking forward to cooking with for our Special Lunches next year. 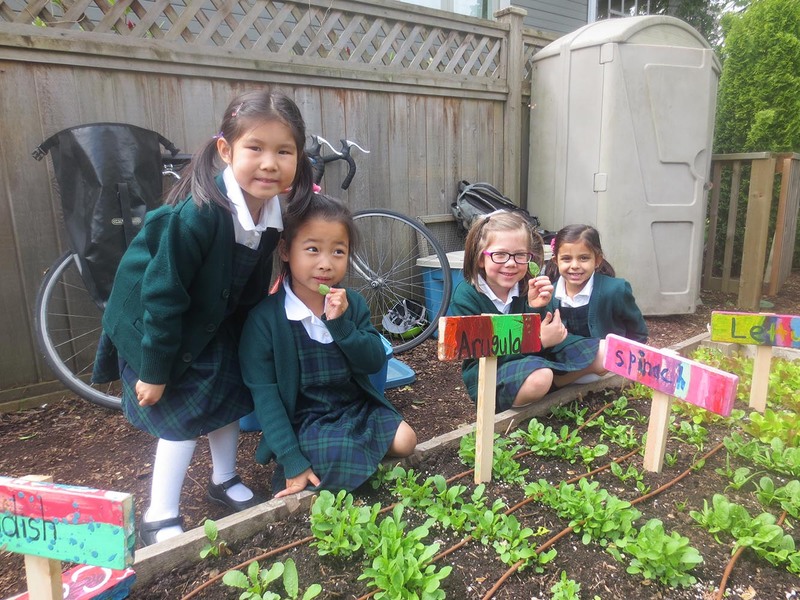 We have planted some vegetables that the girls are familiar with (carrots, lettuce) and have planted some others that we look forward to tasting for the first time! 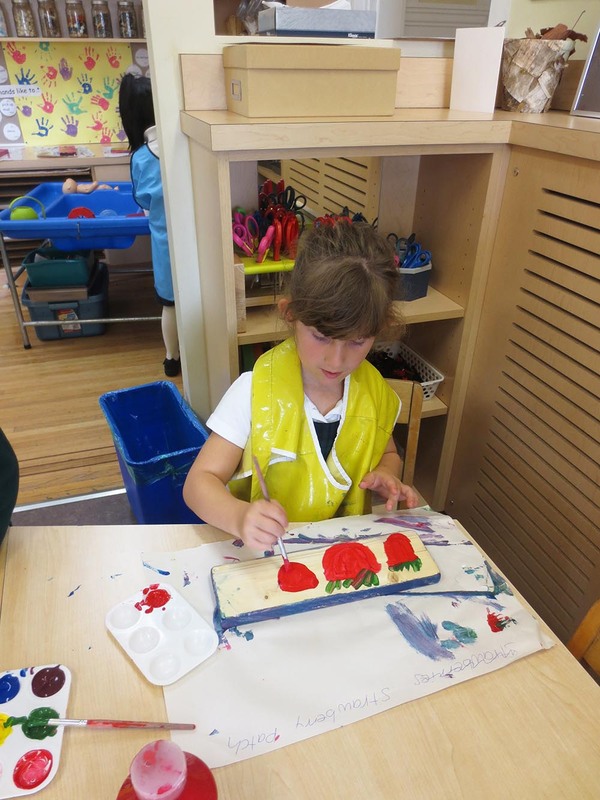 In the classroom, the Apple Class started planting sunflowers, tomatoes and leeks in pots that we made from newspaper. We were very excited to watch them grow so quickly and transplant them to the garden. We’re planting carrots here. How many types of carrots do you think there are? Kate – Look, there are purple ones! Tessa – We’re going to plant some of these. They’re sweet and crunchy. Ruby – Is that the normal kind? Ruby – What are the white things? Tessa – The white things were just there to keep the seeds moist when they were germinating. Ruby – What are the flags for? Tessa – They tell us what we planted. Would you guys like to make some signs? The girls noticed the bright orange flags in the garden beds. We enjoyed creating our own signs to replace the orange flags. The Little School classes chose a variety of plants that they would make signs for. The Apple Class chose to make signs for the strawberry patch, carrots, lettuce and a handful of others. 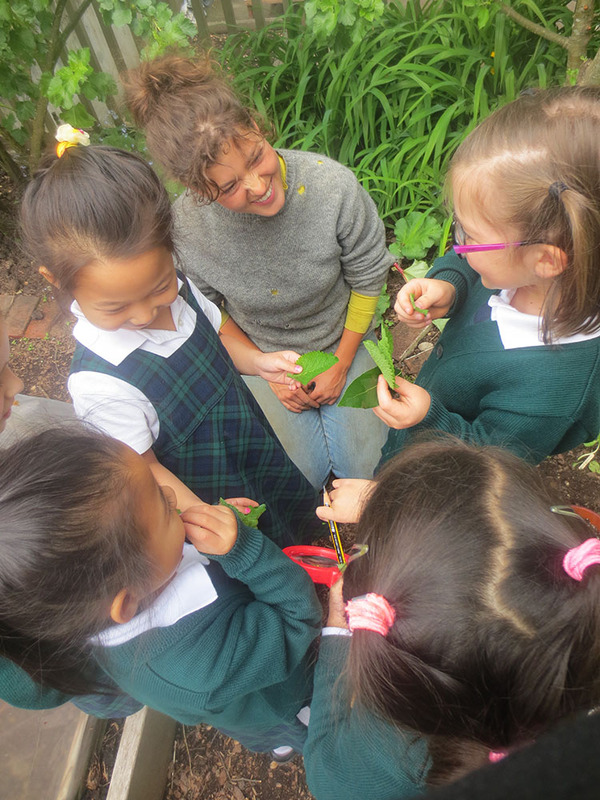 While in the garden, Tessa engaged the girls in discussions about the garden vegetables that we harvested last Fall. We had many questions for Tessa and made some interesting discoveries. For some vegetables we eat the leaf. Can you think of a vegetable that you eat the leaf? Tessa – Yes, that’s right. We also eat spinach and kale. But for carrots, we eat the root. Kate – Some roots are very good for you. Ruby – How deep is that? Kate – Is that how long the carrots will grow? Ruby – As long as my shovel? How long will the carrots grow? As long as my shovel? 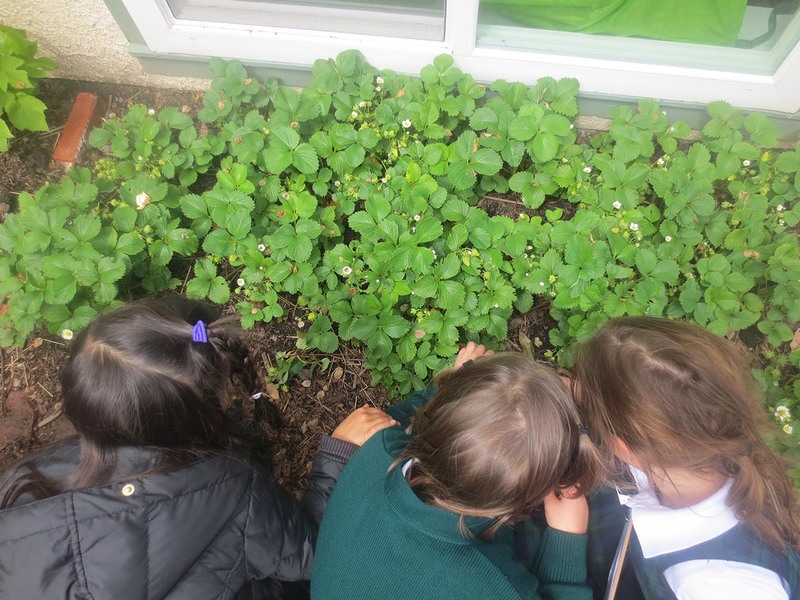 During our last garden exploration we noticed the strawberry patch. When we had a closer look we even saw a bee! Is that a bee in the strawberry patch? Ami – Look at all of the beautiful strawberries! Emily – We can almost…. Ami – There are so many beautiful strawberry flowers! Why aren’t they ready? Maia – Because they grow in the summer! Livie – Ya, they grow in June or July. Emily – There are a million flowers! Ami – I have never seen a bee nectar! Livie – Bees only bother you if you bother them. Livie – Wasps are much peskier than bees. 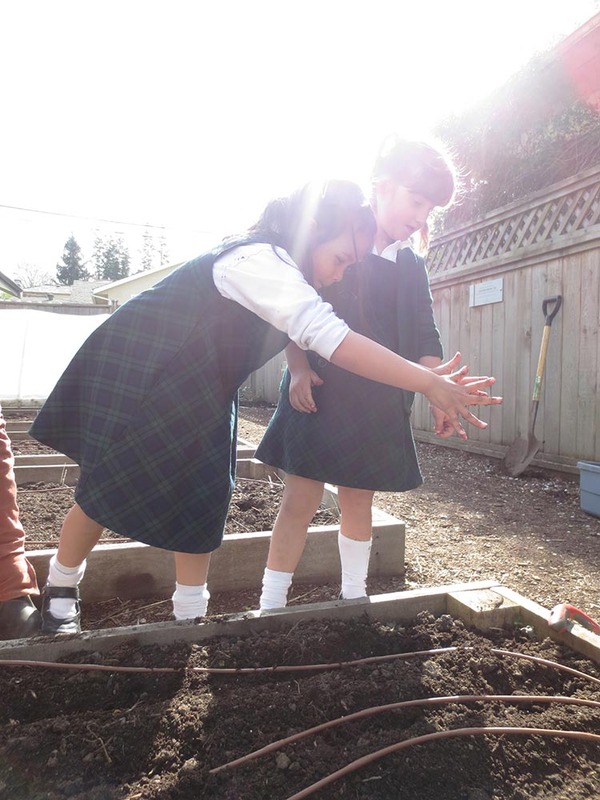 We look forward to more exploring, planting, watering, weeding, and tasting in our Little School Garden! Get updates on the Little School Garden at littleschoolgarden.wordpress.com. Next PostNext She’s Got Talent!